Is the fluid liquid or gas? What is the minimum and maximum working flow range? What is the density of the fluid at the working temperature / pressure? What is the viscosity of the fluid? 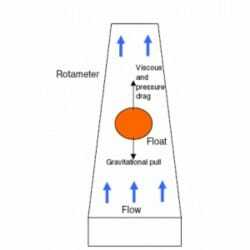 What accuracy range is required from the flow meter? What is the maximum operating pressure? ​View our range of variable area flow meters (rotameters) here.